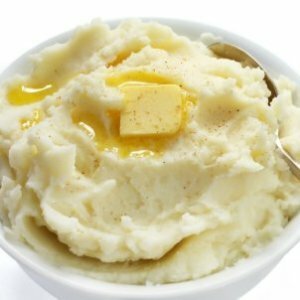 Mashed potatoes are a delicious side dish. Sometimes you may find that they have become too runny, but there are ways to fix that. This is a guide about fixing mashed potatoes. If your mashed potatoes are too soupy, put them over medium/low heat with the top off and let them cook for about 10 minutes. Stir potatoes often so the bottom doesn't burn. Husband whipped up 5 lbs. of taters while I added 1 stick or 1/2 cup of butter resulting in yummy runny mashed potatoes. Our question is how to stiffen them back up? I would try adding some instant potato flakes and see if that helps. You only want to add a few at a time. I agree, adding more instant potato mix would be perfect. Instant potatoe flakes will work. If you don't have instant potatoes on hand, tapioca makes a good thickener. then microwave a couple potatoes the next day. Very easy way out for fickle-minded people. Where has love, commitment, patience and perseverance gone?